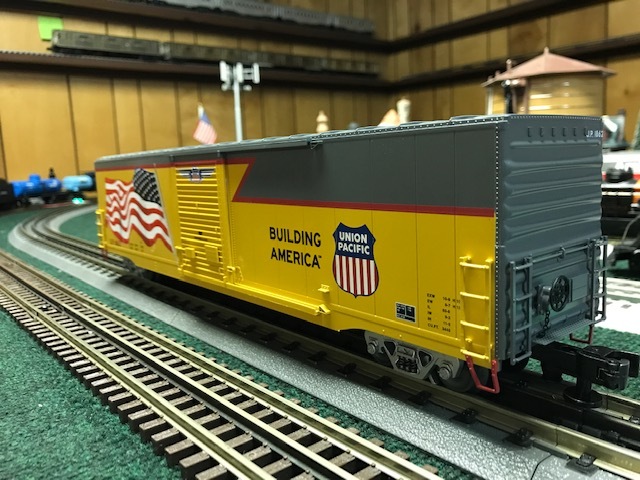 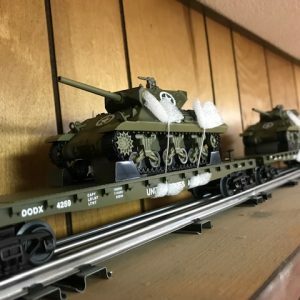 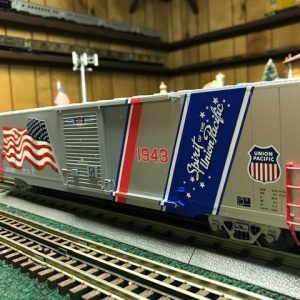 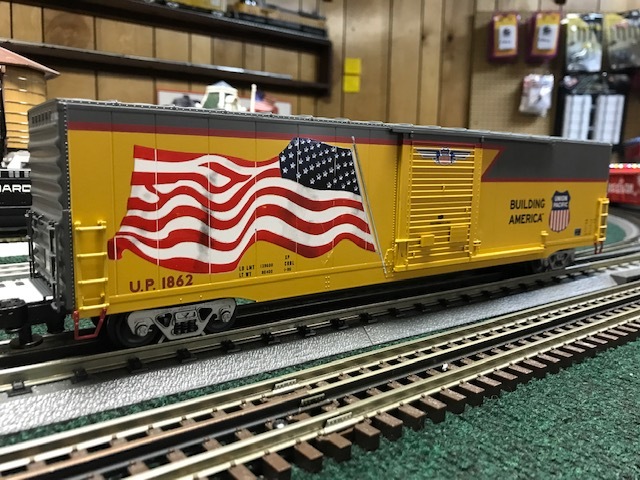 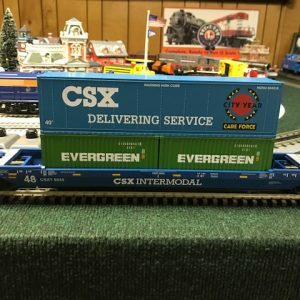 Celebrate the heritage and patriotism of one of America’s oldest railroads with this series of Union Pacific LED Flag boxcars! 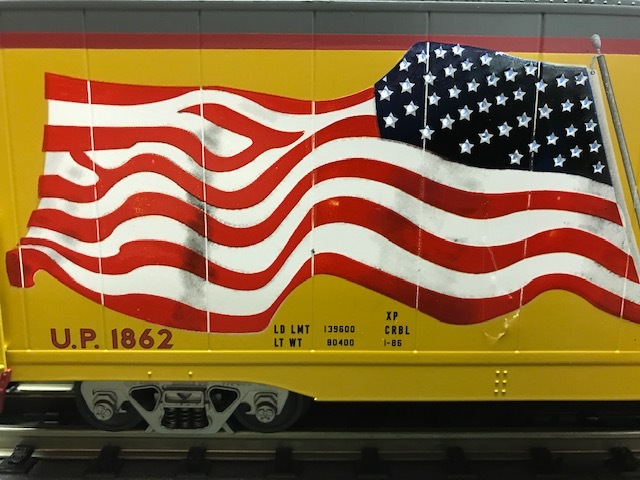 Each car features the Union Pacific’s flag herald with the stars illuminated by LEDs. 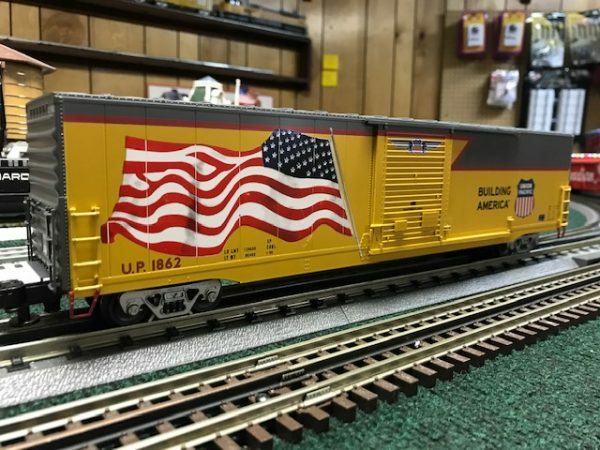 Perfect for use with your favorite UP Heritage diesels, steam locomotives, or as a complete train by themselves!